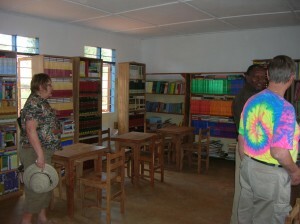 Tanzania Education Department had heard about The Library Project and built a new library at the school. 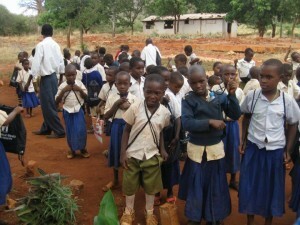 As part of the Library Project another trip to the school was organised. 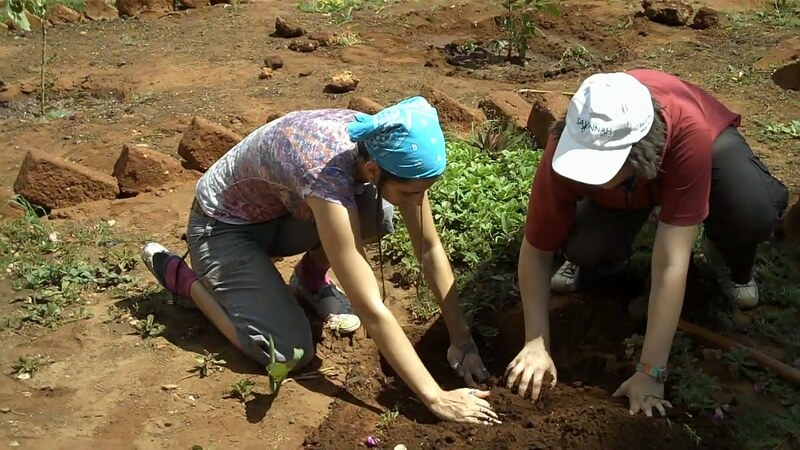 A group of 27, made up of San Diego State University students and faculty, some with family, travelled to Kongwa in mid-May to assist with setting up the library. 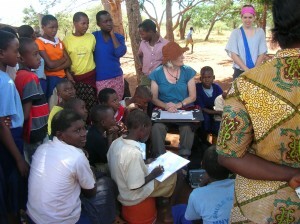 See Tanzania Literacy Project Report for more detail. I accompanied them on this journey to investigate the possibility of installing an electricity supply to the school. 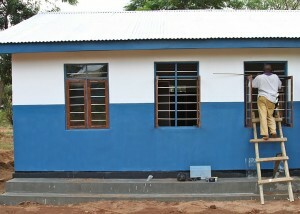 The new library building was having its finishing touches on the day we arrived in May. 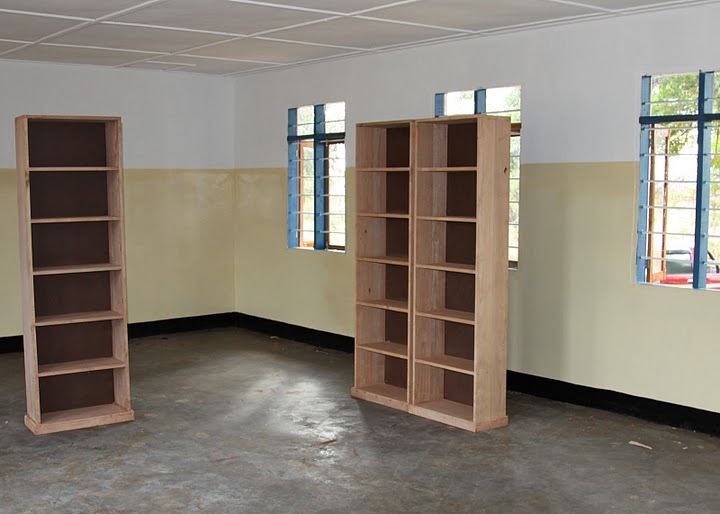 Library: The new shelving was almost ready and would be installed as soon as finishing touches to the library were completed. 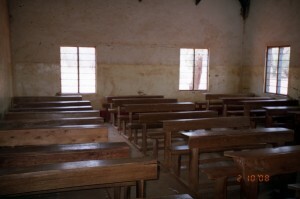 Books : Swahili books were purchased in Dar-es-Salaam with donated funds and we took them with us to the school in May 2010. Classes : During the May visit to the school students from San Diego State University held dance classes with the local children very much involved. Art : Peter’s wife, Margaret, held art classes and some very talented little artists joined in. 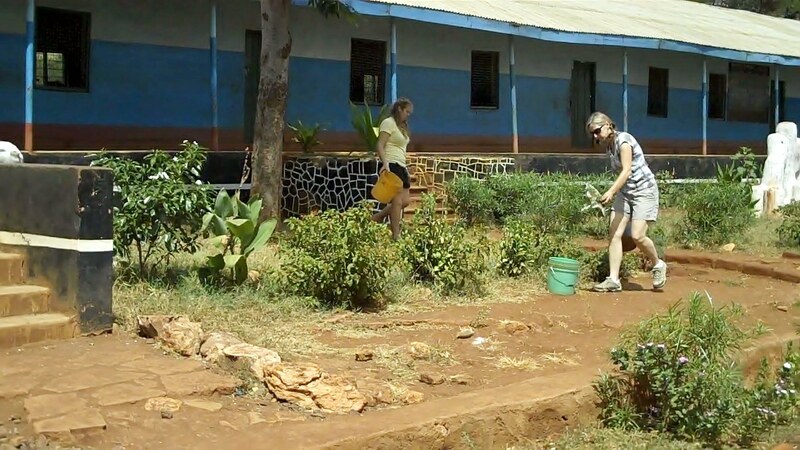 School grounds : Trees and shrubs were planted in the school grounds by the SDSU students, overseen by the School teachers. 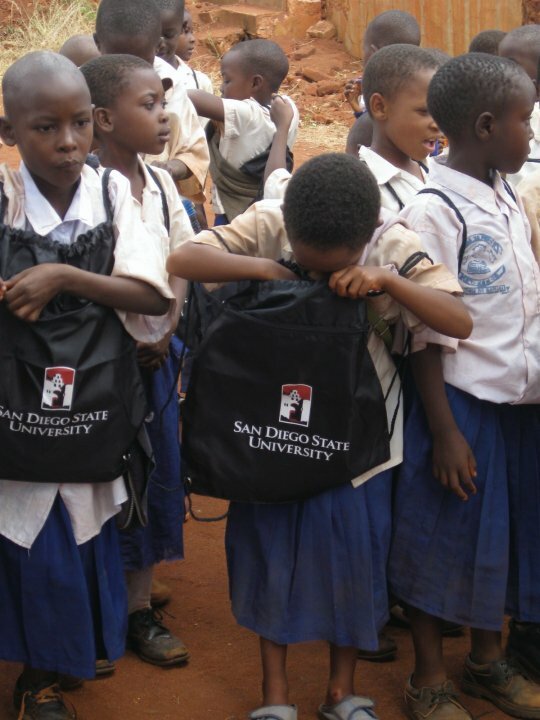 Gifts : SDSU students handed out 900 backpacks to the children as a gift from their University. 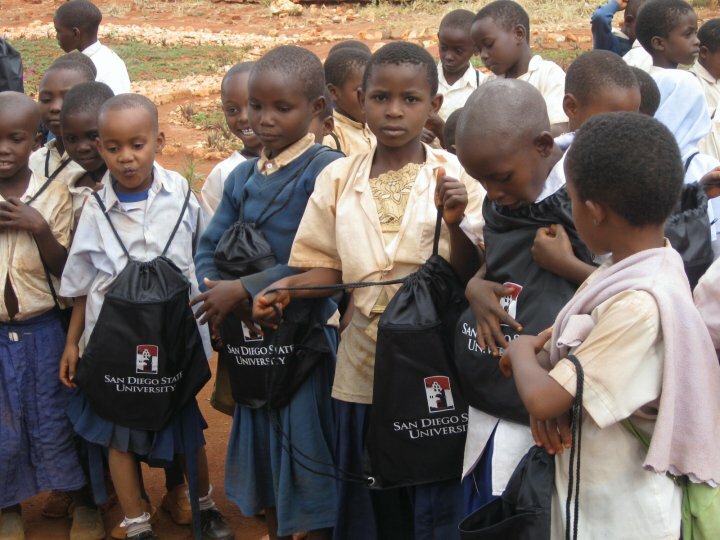 Each backpack contained a few goodies – a pencil, notepad etc. 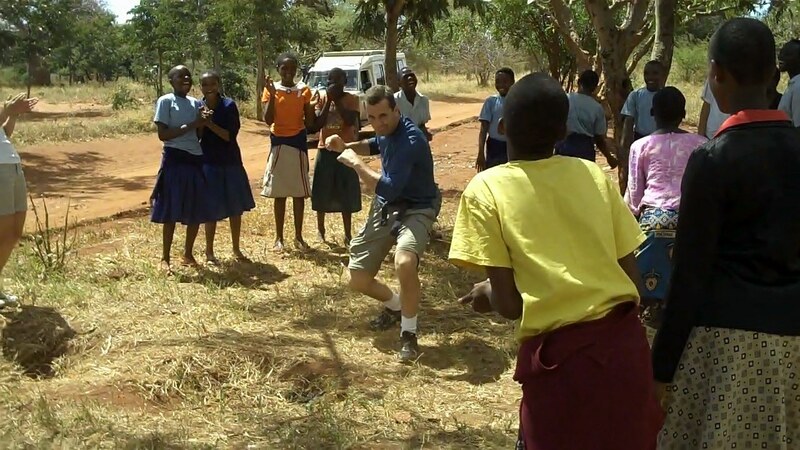 Equipment: Sports equipment and toys (donated by family and friends of ex-pupils) were delivered to the school. The footballs caused great excitement. 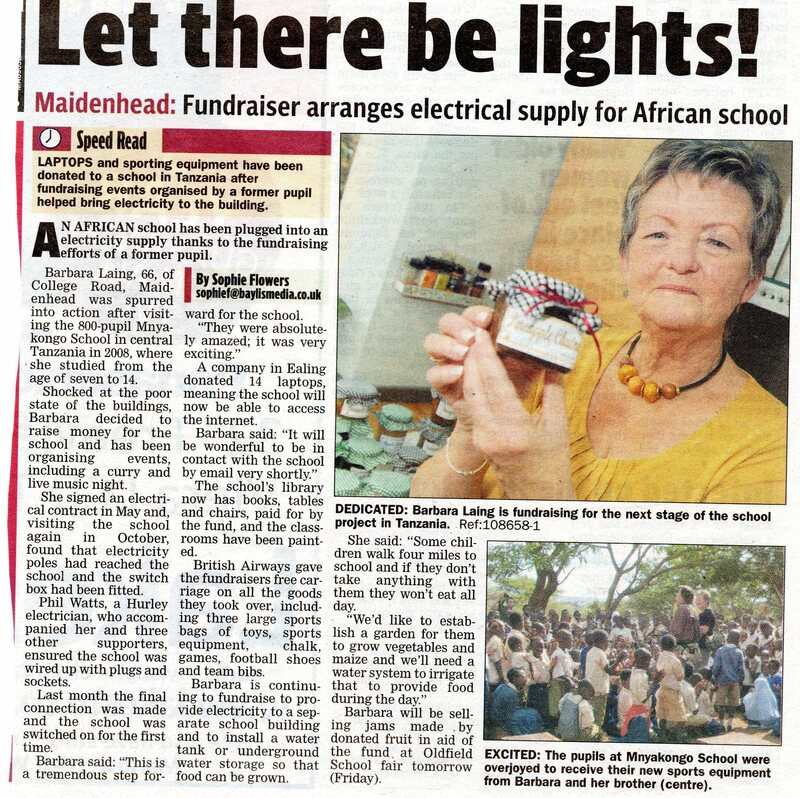 Electricity: After lengthy negotiations a contract was signed for the installation of a supply of electricity to the school. 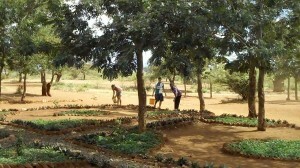 The work was to commence in July and be completed in 60 days. 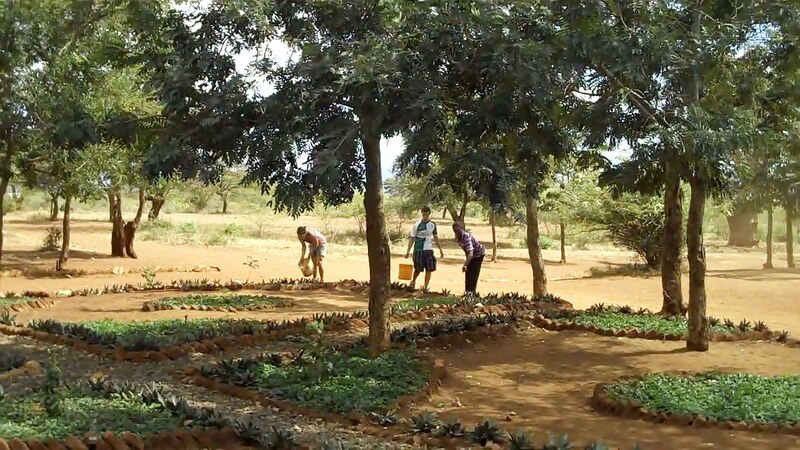 The Container: The container of 6000 books and 20 boxes of art materials from San Diego State University arrived in Dar-es-Salaam. Books: In June we received the following message from Mr. Cliff D’souza in Dar-es-Salaam: “I am pleased to inform you that this morning the container was opened by President Muzu of the Rotary Club of Bahari Dar-es-Salaam and its contents were handed over to the representative of Mnyakongo Primary School who came to Dar for the handover ceremony”. After loading onto trucks the books made their final journey to the school library. 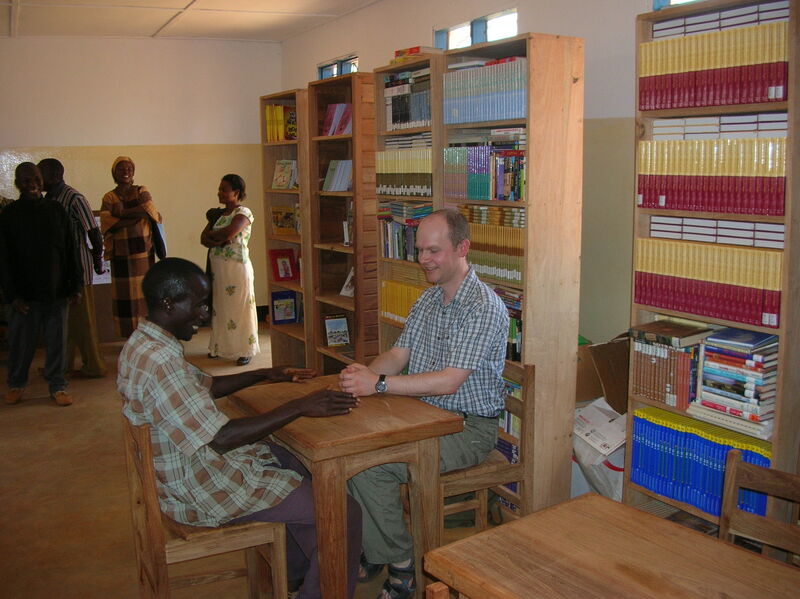 Library: An order for small tables and chairs for the library was placed with the local carpenter. No work is undertaken at the school without first making a formal visit to the Kongwa District Commissioner’s office. 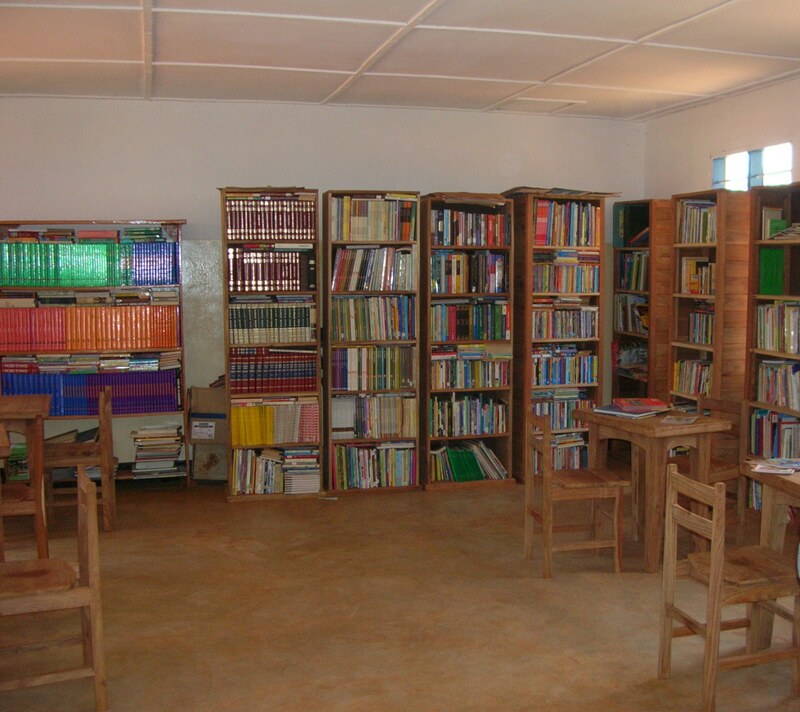 The order placed with the local carpenter was completed and we received word that the small tables and chairs had been delivered to the library at the school. 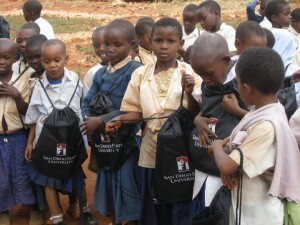 A company in Ealing, UK donated 14 laptops. 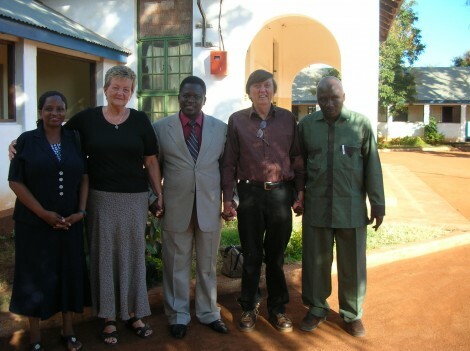 New operating systems were installed into them by a supporter of the project. Another group of ex-pupils visited the school having persuaded an electrician, a plumber and a computer fundi to accompany them to advise on current and future projects. They took with them four of the donated laptops for use at the school. Grateful thanks go to British Airways for allowing complimentary carriage of three large kit bags of toys, more sports equipment, chalk and other supplies. 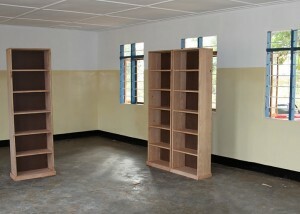 The library shelves had been installed and the books displayed. 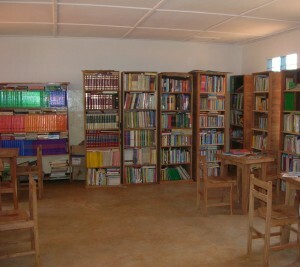 Five little tables and chairs had been delivered and the library was looking splendid. 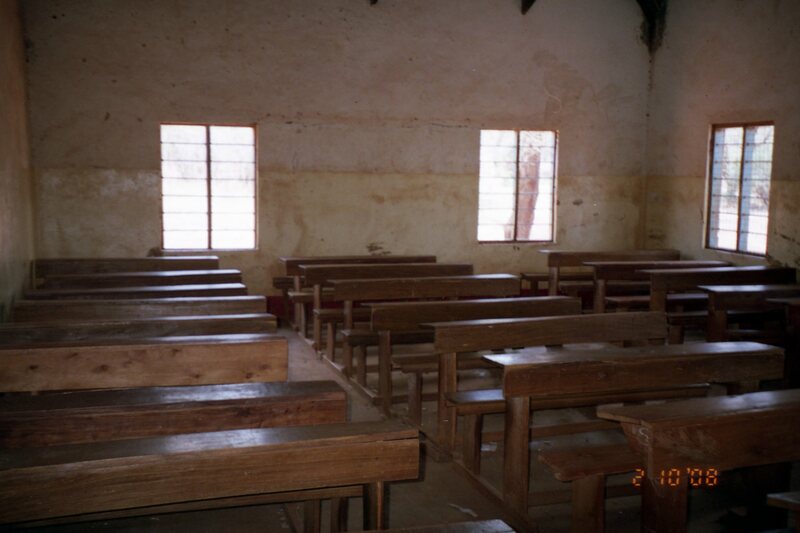 It was agreed that the library required 5 more small tables and 10 more chairs. The order was placed with the local carpenter. 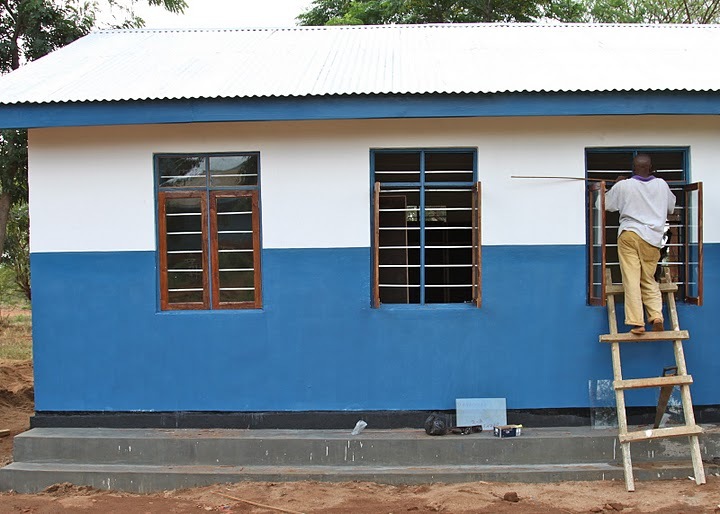 The electricity contract had been honoured, the poles had reached the school and the switch box installed. 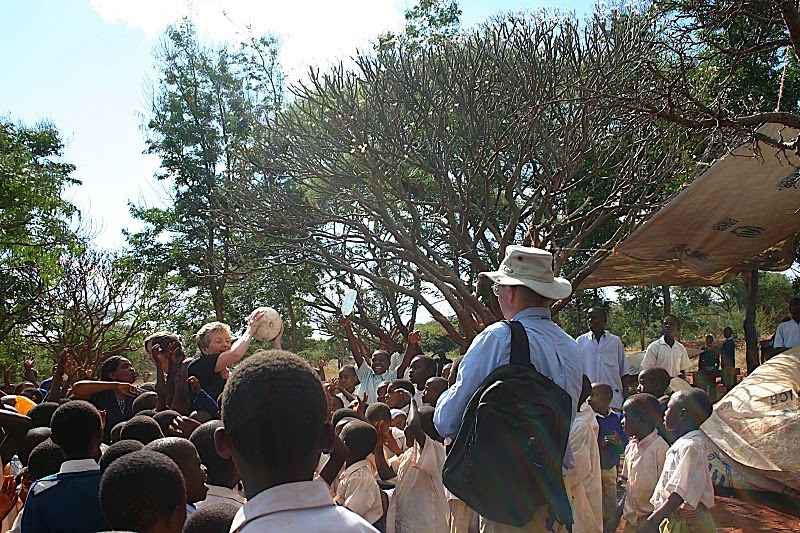 Discussions took place between the visiting electrician and the local electrician and after a day trip to Dodoma to pick up equipment and supplies the contract signed with local electrician for school to be wired. 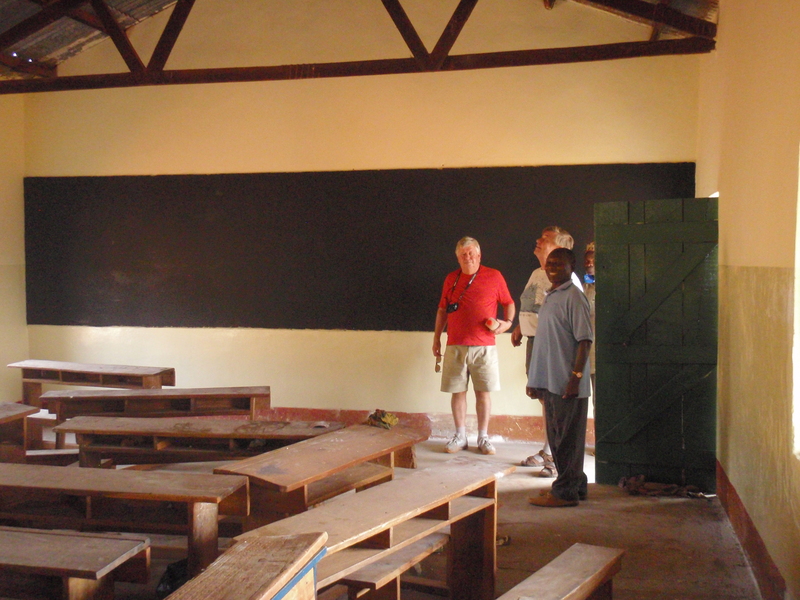 Further negotiations took place with the local painter who agreed to undertake the painting of the school inside and out. 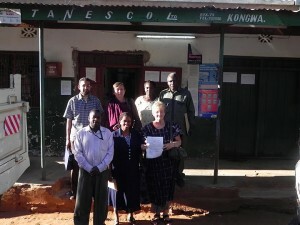 The contract was signed and work was in progress when we left to return to Dar-es-Salaam. A supply of chalk was delivered to school. There is always a shortage of chalk so it is very welcomed. We received word that the five small tables and chairs for the library were completed by the local carpenters and delivered to the school. A generous resident of Maidenhead, England, donated the fruit, berries, apples and plums from their orchard. These to be made into jam and sold locally. 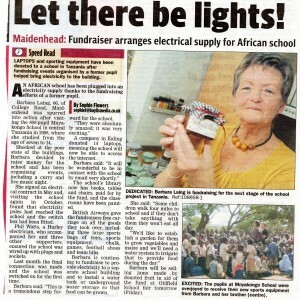 report on the Project even made its way to the local newspaper.